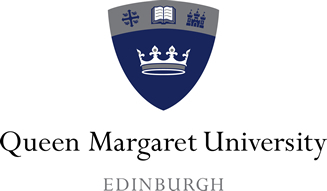 A Speech and Language Therapist internship for a newly qualified therapist in association with the Intensive Communication Groups for people with aphasia (ICGA) project at Queen Margaret University, Edinburgh. The Trustees of The Tavistock Trust for Aphasia are supporting an internship for a newly qualified Speech and Language Therapist. The internship is a structured and supported position within the therapy team offering an intensive communication group for people with aphasia and their communication partners at Queen Margaret University. The position is designed to provide continuous professional development and an opportunity for the intern to build new skills or develop existing ones further. Previous internships have cited the experience as an opportunity for in-depth understanding of aphasia and its consequences for the individual and partners. The internship aims to increase confidence and enhance subsequent employability as a Speech and Language Therapist. This is the 4th year of the ICGA project which will run over an intensive 3 week period in summer 2016. The project benefits people with aphasia, communication partners, interns and specialists from speech and language therapy and supporting disciplines.